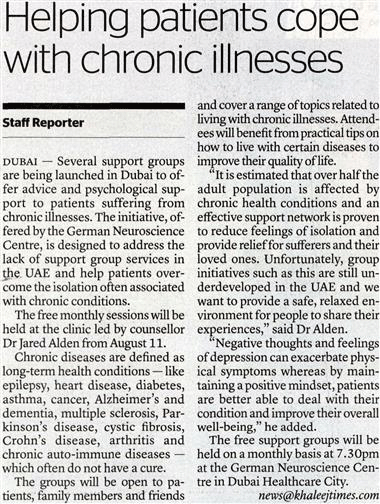 Several support groups are being launched in Dubai to offer advice and psychological support to patients suffering from chronic illnesses. The initiative, offered by the German Neuroscience Centre, is designed to address the lack of support group services in UAE and help patients overcome the isolation often associated with chronic conditions. 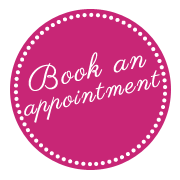 The free monthly sessions will be held at the clinic led by counsellor Dr Jared Alden from August 11. Chronic diseases are defined as long term health conditions -Like epilepsy, heart disease, diabetes, asthma, cancer, Alzheimer’s and dementia, multiple sclerosis, Parkinson’s disease, cystic fibrosis, Cohn’s disease, arthritis and chronic auto immune diseases which often do not have a cure. The groups will be open to patients, family members and friends and cover a range of topics related to living with chronic illnesses.